At this point, it’s fair to say that the Andy Reid experiment has worked out. Say what you will about his beer gut, his two-minute clock management, and his play calling at times, but the man can flat out coach. Now in Year 3 of the Reid regime, you cant help but think that this team has reached the peak of what they’re capable of. Sometimes I wonder what would have happened if Dwayne Bowe kept his feet inbounds on that 4th down play in the 2013 Wild Card game against the Colts (most remember that as the Andrew Luck 26 point comeback game) because this KC team would have had a shot in New England the next week against a very flawed Pats team having a down year. Blount wouldn’t have been able to rumble for 160 yards against this defense like he did against the Colts, and we could be talking about Lombardi residing in KC for a year. Oh, rewriting history can be so fun. 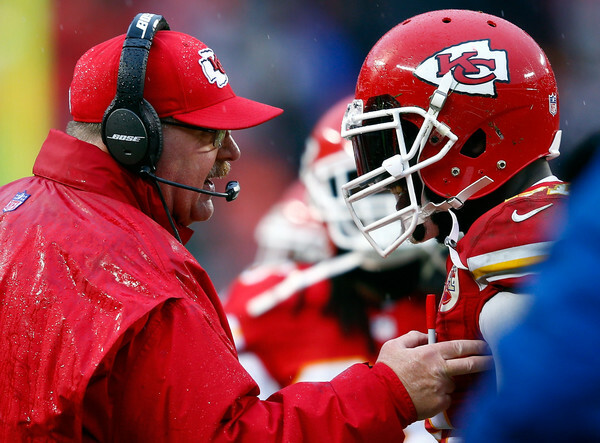 Isn’t it weird…that this team only got better once they lost Jamaal Charles last year? Charles’ absence towards the tail end of 2015 serves as a perfect proxy for how truly replaceable even the best tailbacks are in today’s NFL. Given that he has now torn up the ACL’s in both of his knees, chances are he will come back this September less than himself. Believe it or not, the Chiefs will be just fine if this is the case. The combination of Charcandrick West and Spencer Ware showed last year that they can combine forces to be a top RB group, and more importantly an RB group that supports Alex Smith’s skill set and risk-averse tendencies (screens, dump-offs, and other game manager things). When you look at the film of this 2015 offense, it’s really “cute”, and a lot of what they like to do looks like stuff that shouldn’t work at the NFL level. There are so many college-like/Oregonian concepts that Reid and OC Brad Childress have been able to seamlessly integrate due to the athleticism of Smith as an option QB, and a thrower on the run. The way to beat this team is to get them in 3rd and long situations where they can’t get cute. That is to say, get them in obvious pocket-passing situations where Smith can’t hide behind some read-option/jet sweep/bubble screen gimmickry and force him to stand tall and deliver the ball downfield. Thing can get ugly when KC has to rely on that, but the good news is that if things go to plan 3rd and long wont happen very often! Their running game is so good, and their screen/short passing game is so hyper efficient that they simply don’t find themselves in too many bad down and distances. The addition of Jeremy Maclin gave them an extra dimension last year, but only when Smith was feeling frisky. Overall, he was underutilized, and that will always be the case as long as Smitty is the QB. I cannot think of another team in the NFL where the level their quarterback plays at means LESS than it will to this KC team. Alex Smith is just never going to move the needle (good or bad) for KC as long as Reid’s agile offensive mind is able to protect his deficiencies. Smitty is what he is, and he is more an appendage to the offense than the offense itself. This unit’s effectiveness more hinges on health, and how good the skill players are after the catch, operating in space, once Smith delivers them the ball within 4 yards of the LOS. I don’t think people realize how great this unit was last year. 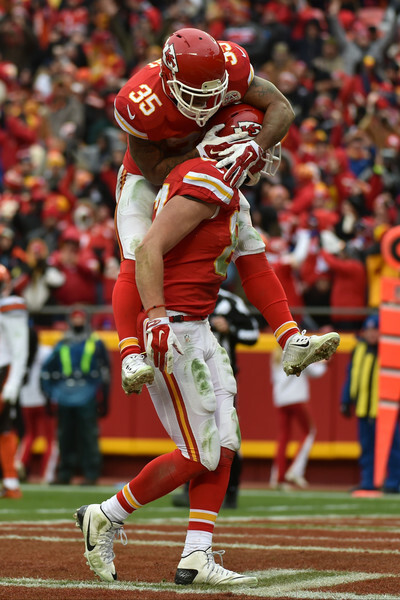 The Chiefs finished 2nd in overall defensive DVOA (5th vs run, 11th vs pass) and honestly at times they looked even better than that. Dating back to the days of the late, great Derrick Thomas, this franchise has never had a shortage of guys who can pin their ears back and hunt QB’s. I think the difference with last year’s defense was the strength of their coverage guys behind those pass rushers in 2015. Justin Houston has been the talk of seemingly every April-May the past 3 years due to his constant contract disputes with the front office, but he is back in camp now, and looks to be just as disruptive as ever, even though he will likely never sack the QB 22 times in a season like he did in 2014. Tamba Hali is not the player he was in the early 2010’s anymore, but he is still an above average rusher, and now that the team has moved into a multiple look, his perpetually underrated coverage skills can now shine as well. One thing that’s worth mentioning is the state of the secondary. They were great last year, but to me it’s a very high variance group. 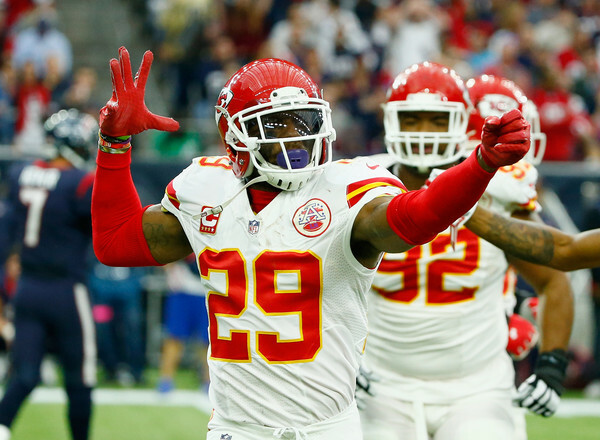 Eric Berry is one of the best safeties of the past 10 years, and obviously an inspiration to anyone who has ever battled Cancer, but other than him there are some question marks back there. Marcus Peters, their first round pick in 2015, picked off 8 passes and made the pro bowl. Having said that, upon review of his 2015 film (namely against Amari Cooper the two times they faced off) he still has tons to learn, and he may be the latest example of a rookie corner who becomes overrated by the casual fan due to gaudy interception totals. If you don’t watch the team everyday, all you see are the picks, you don’t see the slip and falls on slants, you don’t see the double-move bites that lead to chunk yardage. Remember, Devin McCourty picked off 10 balls as a rookie years ago, only to get completely exposed in the subsequent year, leading to his move (and far as pay-grade, his demotion) to safety. He’s been great at safety ever since, but the point is don’t let interception totals fool you. This team also lost CB Sean Smith in free agency to the rival Raiders, and his absence will be felt. Unproven 3rd year man Phil Gaines now has to fill in and cover opposing 2’s. This defense will be good, I have trouble seeing them outside the top 12, but if they are the 9th best defense this year and not the 2nd best, what will that mean for their win total, given the ceiling their offense has? Call this a hot take, call it what you want. I am not buying the notion that KC has a ceiling. I think that Andy Reid is due for some sort of magical season. I am not suggesting they win the Super Bowl, but I think this team goes far, and holds off the rapidly gentrifying Oakland Raider Franchise for one final year, before the division belongs to Derek Carr. I’m going 11-5 here, with a close loss in the AFC Championship game to a more talented Cincinnati, or a better Quarterbacked New England team. Looking for Kansas City Chiefs 2017 Team Preview. any suggestion?